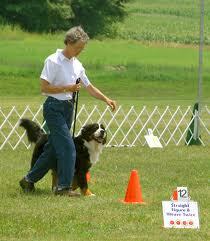 Rally Obedience, also known as Rally or Rally-O, is a dog sport based on obedience. it was originally devised by Charles L. “Bud” Kramer from the obedience practice of “doodling”- doing a variety of interesting warm-up and freestyle exercises. 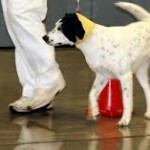 Unlike regular obedience, instead of waiting for the judge’s orders, the competitors proceed around a course of designated stations with the dog in “heel” position. 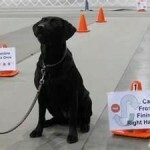 The course consists of 10-20 signs that instruct the dog/human team what to do. 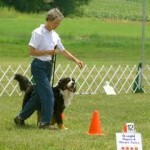 Unlike traditional obedience, handlers are allowed to talk to and encourage their dogs during the course. It is more of a blend of obedience and agility, but without the strictness of formal obedience or the speed or intensity of agility. Rally obedience is open to both AKC registered and mixed breed dogs registered in the AKC Canine Partners Program, as well as other sanctioning bodies, such as CynoSport. 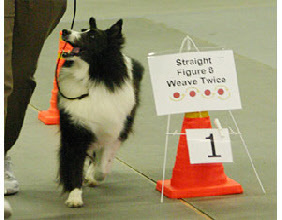 After qualifying three times under at least two different judges, the dog earns a title, which appears after the dog’s registered name. Each qualifying trial earned is known as a “leg”. There are a variety of titles that can be achieved. Rally-O helps create an incredible bond between the dog and handler. The time spent training is happy positive time. It often leads to a better behaved dog who is easier to live with because it exercises both the body and the mind of the dog. Most of all, Rally is a lot of fun. 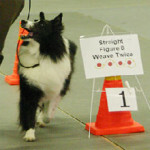 Novice Rally-O, level 1 Class Requirements: completion of Pet Dog Manners or Instructor permission. 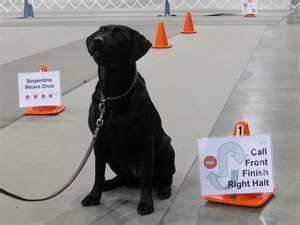 If your dog isn’t real solid on heel position in turns, straight recalls, etc, I would recommend taking Obedience Skillbuilding-1 1st, then this class. The Advanced Rally class is designed for each student to work at their own pace brushing up on novice skills, beginning to do courses off leash, learning the Advanced Rally signs and the skills needed to perform them, or just coming to practice Rally-O courses. You may enroll as many times as you like! Prerequisite: Rally Novice or Instructor permission.